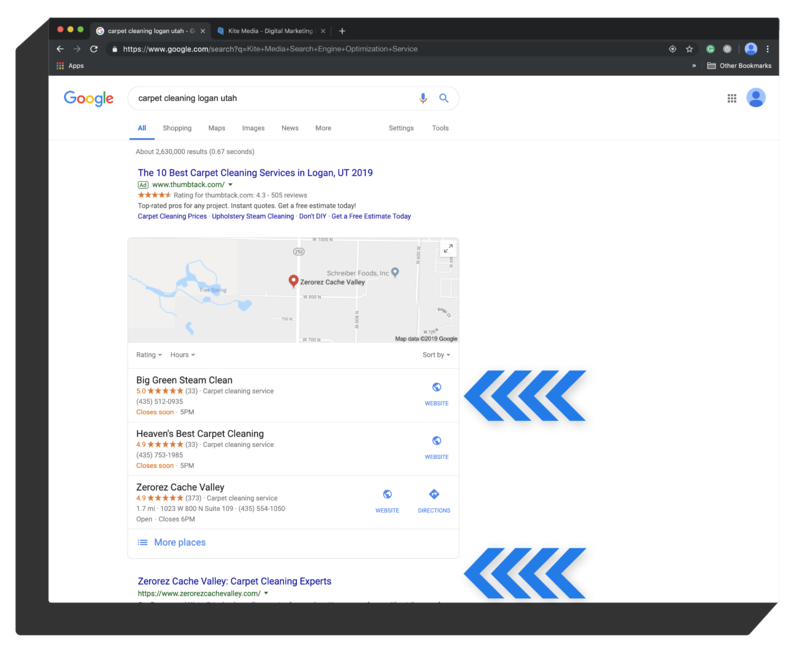 It’s no secret that websites that rank at the top of search results get more traffic, and increased traffic typically yields better results. It’s pretty simple really. Why would you want to be anywhere else? Be where customers are looking. Be on top. Without website optimization, the search engine crawlers don’t know what you offer, and your potential customers can’t find you online. Kite Media will establish your website with great content and constant refreshers. Cater your website and your marketing to specific geographic areas with custom SEO by Kite Media. A website overhaul can really make your site more attractive to search engines and customers. Rank on local apps like Google Maps, Yelp, and other popular mobile search tools. In this day and age of mobile dominance, it’s important to not forget the traffic a well-ranked site will get on mobile devices. Search Engine Optimization is the process of improving the visibility of a website in search engines like Google, Yahoo and Bing, and it is the core of our services at Kite Media. We make sure that your business gets a large exposure online to turn even more followers into committed customers. Even though search engines have become more and more complex, our SEO service helps the engines understand what each page is about, and how it may be helpful for the end user. There is so much that you can do just on your website alone to provide the search engines with a better idea of what services and goods you offer and help you rank higher in their targeted results. To remain competitive online, it’s necessary to engage in online marketing strategies, and to stay consistent with those strategies. More and more websites each day for attention and placement in the rankings. The businesses that have the best understanding of good search engine optimization practices get amplified traffic and a better overall presence. Let the digital marketing experts at Kite Media make you more visible on the web. 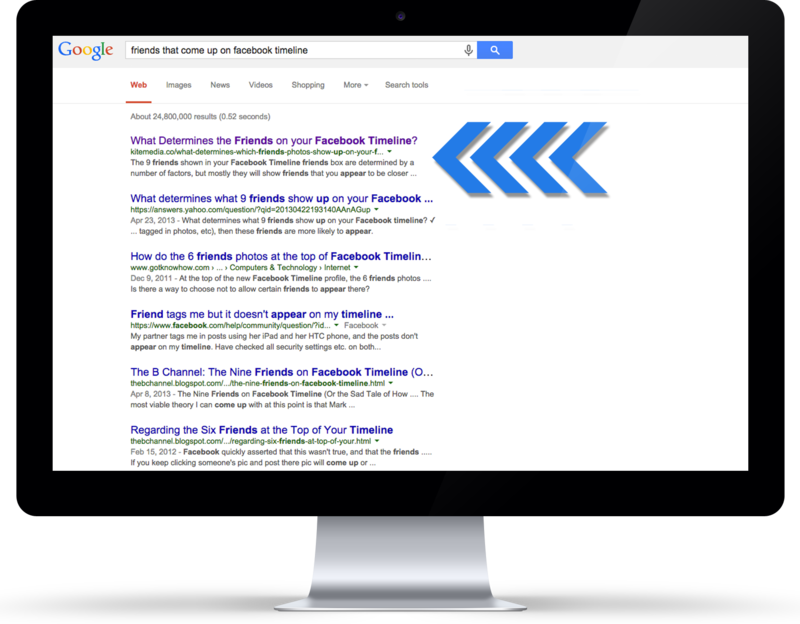 We’ll research your target market and develop a strategy that appeals to those targets in local search results. We’ll create engaging content to help your site stand out to both visitors and search engines. In a short time, you’ll see the results of our work and we can evaluate what techniques work to better suit your business needs. You’ll receive a monthly report explaining both your increase in site traffic and your organic search rankings. Give us a call or send a text. See your business grow with Kite Media’s search engine optimization service. Fill out the form below to contact us!